Get your local news anytime, anywhere! 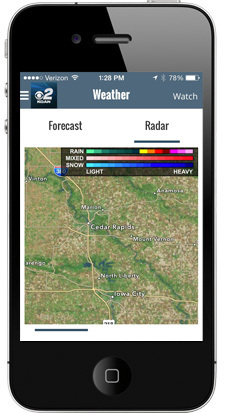 The KGAN CBS2 app is faster, smarter, and more interactive than ever. Create a personalized local news feed, build an audio playlist that reads the news to you, and see up to the minute weather and traffic conditions.